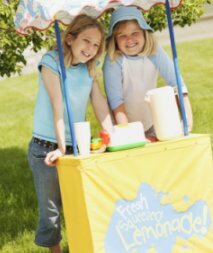 How to sell anything will give you the basics of selling in any situation. As a working sales manager I see sellers making common sales mistakes that waste their time and stop them making a sale. They think they know how to sell anything to anyone. Even professional sellers, that have had lots of sales training, make this mistake. You hear them say, I have the gift of the gab, or I can sell sand to the Arabs. Focus your time and resources on the prospects most likely to buy your products and services. The first step in this sales training on how to sell anything is to find a way to target prospective buyers. Buyers that may have a need for your product or service. This is one of the best sales tips I can give you and one that will help you make the most of your time. I’ve seen sales people lose their jobs because they were doing great sales pitches to people that couldn’t buy their products. If you are advertising then place the advert where your targeted prospects will see it. If you make telesales calls then make them to people that have a need for your service. If you’re approaching customers face to face select your prospects to make the most effective use of your time. A good sales tip on how to sell anything is to look for ways that you know you will hit a large number of prospects in your target group. Getting your products or services seen is not enough. You must get them seen by potential buyers. Have you thought about selling on the Internet? Here’s some information that I found really useful when I set up this website. Open How to sell online and see how many other people, with no experience, have made use of the Internet to make money. So who needs your product? Whether you are starting a small business, or selling a one off item, spend some time writing a description of the buyers that have a need for what you are selling. 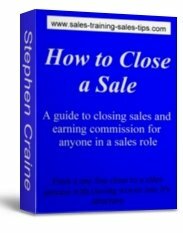 This is good sales training that will work at all levels of the selling profession and show you how to sell anything. Then take the next step and sell them the benefits of your item or service. Tell your buyers what the product will do for them, how they will benefit, and give them a reason to buy from you. 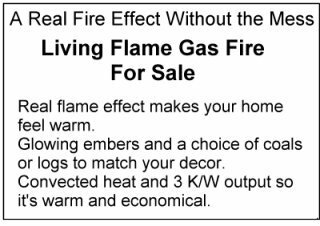 Take a look at these two adverts for a fuel effect living flame gas fire. Look at the information the advert gives a potential buyer. All features. It tells the buyer about the item but nothing about what it will do for them. Now look at the advert below and see the difference. Can you see the difference and how this advert will have a completely different impact on a potential buyer? Even the first line in the second example uses benefits to grab the buyer’s attention. Follow this pattern when you are selling. Whether it’s retail, direct sales, B2B, or telesales. Grab the buyer’s attention with benefits then keep using benefits to make the sale. Your buyers, potential customers, or shoppers, will buy from you if they can see a benefit that they need or want and that benefit is worth the price you are charging. A good example, which has been well used in sales training, is a buyer looking for an electric drill. The buyer doesn’t want a drill. They want the hole the drill will make. To sell this customer a drill you show them how easy it is to make a hole with the drill. Most people that buy a car want to know about the benefits they will gain. Benefits such as: Prestige, Appearance, Running cost, After sales service. So a sales person rattling off all the technical features and specifications will bore most customers and lose their interest. To know how to sell anything you need to learn the benefits of what you are selling. One of the best sales tips I can give you is to list all the features of your products and write a list of all the benefits a customer could gain from each of the features. Learn how to do this effectively and you will have sales training that will help you to sell absolutely anything. 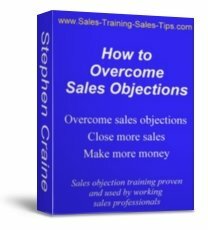 For a professional sales training course in a workbook that you can start using today open Sales Training Workbook Course and teach yourself how to use Features and Benefits to make money. Whether you are writing an advert, publishing a webpage, selling face to face or on the telephone, or trying to make sales appointments, at the end of your presentation of benefits there should be a call to action. In simple terms, you have targeted the prospects that may have needs or wants related to your product. Then you have pitched the benefits they could gain if they buy from you. Now you are asking them to take an action. This is how to sell anything. The webpage How to Sell Anything, which you are now reading is an example of the 3 step process. You found this page because you searched on the Internet. The title of the page, description, and keywords used all help to attract people with an interest in the subject of sales training. The title and first few lines show wide benefits that readers of the page could gain. So targeted prospects with an interest in sales training and selling, like you, will be influenced to read the content of the page. Within the content I have shown both features and benefits of how to sell anything. I have given free sales tips and sales training, and highlighted the main benefit to you. The main benefit is that you have a 3 step process for making sales, earning money, and growing a small business. At the end of this page on How to Sell Anything is a link to a sales training workbook that is the next step to the sales training here. Yes, if you click the link and buy the workbook I make some money. So do you if you follow the instructions in the workbook. It’s a win – win situation, the perfect call to action. When you click the link, and read the information and benefits you can gain from the training, you will look then look at the price of the workbook course. When you see that the potential value of the course exceeds the investment cost you will buy the course. This is how you can sell anything. What is your most desired outcome to your advert, sales page, presentation or phone call to a customer? What do you want the buyer to do? Whatever it is you now ask them to do it. Your sales pitch should have given them good reason to. It could be to contact you, agree to meet, buy something, or some other action. As a sales manager and coach I often see sellers present a very good sales pitch and then not ask for a call to action. You also see it on adverts that don’t have a next step for potential buyers, and web pages that offer information but poor instructions on what to do to learn more. Don’t make the same mistake. Add a call to action to your sales process. You will find links below to more information and sales training on this site. Have a click around and gain the benefits as you add to your knowledge on how to sell anything. Now you have the beginnings of sales process and you understand how to sell anything, you will want to know what’s next. How you can take the next step in this sales training and increase your sales or grow your business. I use a step by step sales training course with the sales teams I manage and train. I’ve now put that same course into a workbook that takes you through simple exercises to build an effective money making sales process. You can download the sales course and start using it today. See Selling Success Sales Training Course for more details. If you understood the ideas you found on this page and think you can put them into practice, then you could make money online. By building web pages and putting these sales techniques into action you can sell many things online. Take a look at Small business start up ideas and make use of your knowledge and talents.